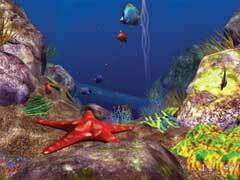 Founded in 2001, Oceana is the largest international organization focused solely on ocean conservation. They have offices in North America, Central America, South America and Europe that work together on a limited number of strategic campaigns that will help return our oceans to former levels of abundance. The oceans are vast, but they are not immune to human influence. We have already altered or destroyed many marine ecosystems and driven million-year-old species to the brink of extinction. According to a study published in Science, less than 4% of the oceans remain unaffected by human activity. Oceana was created to identify practical solutions and make them happen. The good news is that we can restore our oceans to their former glory. In many cases, laws governing fishing and pollution already exist--we simply need to enforce them and ensure that management and industry obey a few commonsense principles. Carbon dioxide from burning fossil fuels is making our oceans more acidic. One consequence could be the loss of corals on a global scale, as their calcium skeletons are weakened by the increasing acidity of the water. To reduce energy use, ride a bike, walk, or use public transportation. Use high efficiency appliances, turn off appliances when they aren’t in use, and use compact fluorescent light bulbs. Plastic debris in the ocean degrades marine habitats and contributes to the deaths of many marine animals. Use cloth grocery bags and reusable water bottles. Motor oil and other hazardous materials that aren’t disposed of properly pollute the water and hurt the overall health of our oceans. When non-organic fertilizers are used in gardening and agriculture, the excess eventually ends up in the ocean. One result is a dead zone--an area with very low levels of oxygen in the water--the size of New Jersey in the Gulf of Mexico. Much of the plastic and debris found in the ocean has its beginnings in beach litter. Don’t let your day at the beach contribute to the destruction of our oceans. Avoid products produced through unsustainable or environmentally harmful methods, such as cosmetics containing shark squalene and jewelry made of coral or sea turtle shell. Electing the right public officials is essential to good ocean policy. Do your research and make an informed decision. With more than 300,000 members, Oceana’s online supporters are crucial to their grassroots lobbying efforts.